Various levels of PPE are an important and necessary part of our daily routine at Tradebe. Does your team understand what types of PPE are required for their daily tasks? Without the use of proper Personal Protective Equipment our jobs could not be performed in a safe and healthy manner. That is why it is important to wear the correct PPE for every job task to reduce the risk of injuries and illnesses in the work place. Need help with your Environmental Health and Safety Plan? Contact us now and let us put our expertise to work for you! Personal Protective Equipment, “PPE”, is an essential part of our daily working operations. Various levels of PPE are an important and necessary part of our daily routine at Tradebe. Need help with your Environmental Health and Safety Plan? Personal Protective Equipment, commonly referred to as "PPE", is equipment worn to minimize exposure to hazards that cause serious workplace injuries and illnesses. These injuries and illnesses may result from contact with chemical, radiological, physical, electrical, mechanical, or other workplace hazards. I encourage you to download yours as a handy reference on this topic. All personal protective equipment should be safely designed and constructed and should be readily available to all employees. It should fit comfortably, encouraging worker use. If the personal protective equipment does not fit properly, it can make the difference between being safely covered or dangerously exposed. 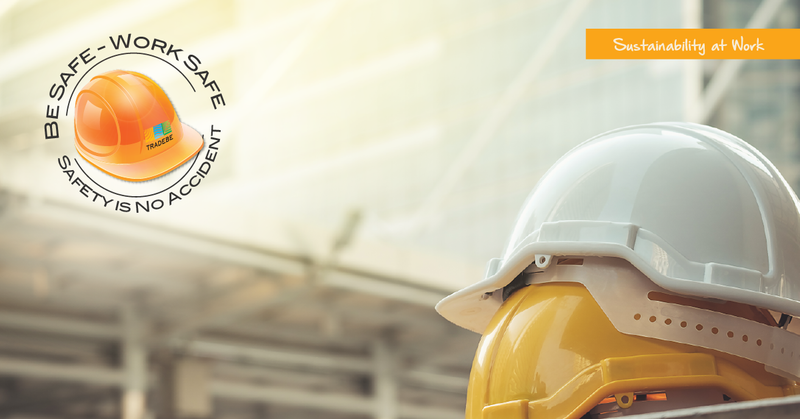 To ensure that PPE is being properly used, PPE training needs to be implemented so each worker knows about the proper use of personal protective equipment. PPE use should be outlined in your local Health and Safety Plan and/or policy. PPE Training routinely completed for employees and monitoring of the program will ongoing effectiveness.